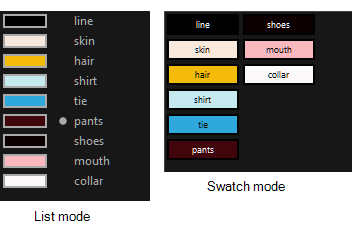 ‣ Select Colours > Swatch Mode to display the swatches. 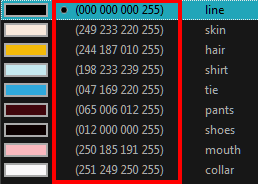 ‣ Deselect Colours > Swatch Mode to display the colour list. ‣ From the Colour View menu, select Palettes > Display Colour Values.